By not embracing the UK financial sector in a future trade deal, the EU might chase global capital markets away from Europe. The idea that Europe will win by keeping London at arm’s length is naïve at best, writes Georges Ugeux. Georges Ugeux was the president of the European Investment Fund and Group EVP International of the New York Stock Exchange. He teaches international banking and finance at Columbia Law School. Last week, the president of the European Council, Mr Tusk, poured cold water on London’s hopes to explore options for the UK’s financial services sector to maintain special access the EU markets, besides the general EU-UK free trade agreement. “We cannot offer the same in [financial] services as we can offer in goods. We should all be clear that also when it comes to financial services, life will be different after Brexit,” he said. The tone of the EU’s chief Brexit negotiator Michel Barnier was even stronger: “There is not a single trade agreement that is open to financial services. It doesn’t exist.” By not embracing the UK financial sector, the EU might chase global capital markets away from Europe. The idea that Europe will win by keeping the City of London at arm’s length is naïve at best. A “one-size-fits-all-sectors” trade agreement is less straightforward as Mr Barnier suggested. In earlier trade agreements, the EU adopted provisions on financial services. The EU-Canada CETA deal has an investment chapter. A 2016 European Parliament Report explicitly lauded the CETA for being the first modern trade agreement to dedicate a special chapter to this subject. When negotiating the troubled Transatlantic Trade Agreement with the USA, it was the EU that pushed for including financial services. 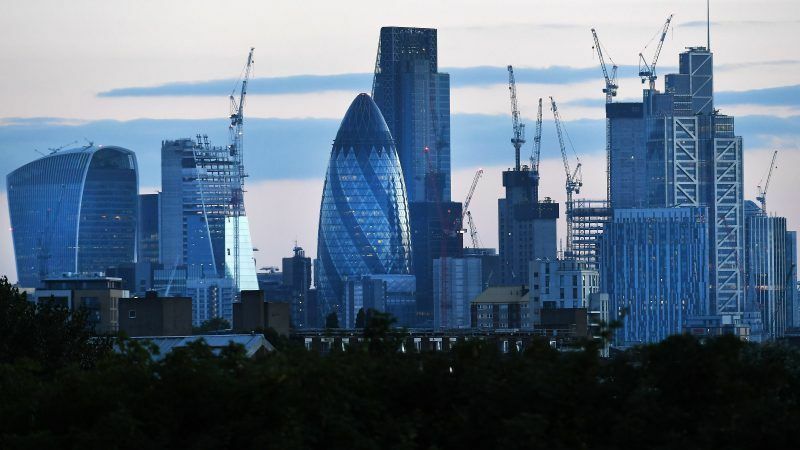 More importantly, as the financial heart of the EU, London’s role in financial services is unique enough to be treated separately in a Brexit trade deal. A significant amount of EU financial market activity is concentrated in the UK – particularly in wholesale markets such as OTC derivatives and foreign exchange trading. The UK is home to more than half of European investment banking activity. The UK has the largest insurance sector in the EU (and fourth largest of the world). The EU can only keep its competitiveness in financial markets – which is already under pressure due to globalisation – by holding on to London’s finance sector. Rebuilding another financial centre may take decades, if it is even possible. A significantly weaker EU financial system is a realistic option over the next five years; the likely effect of cutting off the UK financial system from the EU after Brexit. Of course, over time, centres of financial gravity shift. However, there are intrinsic reasons for London’s leading position in finance, reasons that the EU cannot dismantle in its favour. The UK is one of the EU’s leaders in the development of financial and corporate law with the pragmatism of a common law system. London is furthermore conveniently located across time zones. On average, with London, Europe can trade for five hours with Asia and America. Where time is a handicap for Hong Kong, Tokyo, New York and Sao Paolo; London’s position enables Europe to arbitrate with the world. Also, the English language offers an easy welcome for foreign talent and international finance – irrespective of Brexit. The language benefit applies to professionals as well as their families. London is a global village whose native tongue is a major business language around the world. As a Belgian working in finance, I worked a few years in the City of London, like many of my European colleagues. Where finance fuels the broader economy, the UK financial sector fuels the European economy as a whole. Currently, as a New York City resident, I can see that from a US perspective, the fragmentation of European financial markets after Brexit will dampen foreign investment in the EU due to increased complexity (legal, logistical, linguistic etc.). The question is how to maintain the close connection with London in a post-Brexit financial system. One option came from the International Regulatory Strategy Group (“IRSG”), a UK practitioner-led body, which proposed to structure the UK financial services sector after Brexit based on “mutual recognition” of UK and EU regulation. This mutual recognition substitutes the “equivalence model”, whereby the EU can recognize UK law as equivalent to EU law on a more ad hoc basis, in so far allowed by the individual EU laws. Even if the idea has traction in the UK domestically, Mr Barnier emphasised the UK could not have access to the EU where it can undermine the EU’s financial stability. However, isn’t the risk of financial instability rather within the eurozone (e.g. Italy’s banking sector) as opposed to the wider EU? The laudable efforts of the European Commission to create a Capital Markets Union and complement the European Banking Union will only work if the European capital markets can effectively compete with other global capital market centres. Even before Brexit emerged, London was barely mentioned in the Capital Markets Union plans. The core of capital market competition is a combination of liquidity, price discovery and best execution. By refusing a financial services agreement, Mr Barnier runs the risk of fragmenting the liquidity of the European financial services industry. This would play into the hands of Hong Kong, Tokyo, and New York. Due to network effects of information and talent, financial markets are dominated by global powerhouses. Market actors will always go for the most liquid market that ensures the best price and execution. Instead of competing to replace London, financial cities in continental Europe will benefit more from securing proximity to its existing global financial centre. Rather than advocate a dogmatic “all-encompassing” trade agreement, Brussels is well advised to facilitate a strategic and open relationship with the UK’s financial services sector – to safeguard Europe’s competitive edge in global finance. There are plenty of countries with strong hightech economies and little financial services. South Korea and Japan come to mind. Taiwan is another example. Elon Musk does not use financial services to make cars and rockets. On the opposite, Russian oligarchs like financial services in London very much, but they can not produce anything except to pump oil and gas.